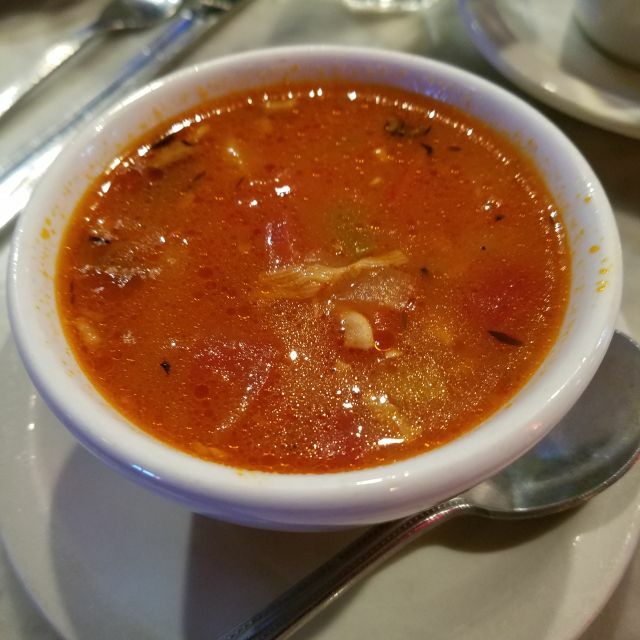 Whether a celebratory gathering with family and friends or business meeting among colleagues, La Baguette Bistro can accommodate your needs. Serving the metro for twenty eight years, La Baguette Bistro is the go-to place for Sunday brunch, cakes beyond compare, pastries and fine wine. The Euro-casual ambiance with its ever-changing art gallery is comfortable yet elegant, and the dark, cozy bar area invites leisurely drinks after work. Regulars flock to La Baguette Bistro for the Croque Madam & Monsieur sandwiches, Chicken Crepes and toothpick-thin French fries ("frites"). Daily specials keep them interested. Once again a pleasure dining at La Baguette Bistro. We have yet to be disappointed. Cheese board, steak, pasta all were excellent! Food was delicious and service was great! I can’t wait to eat here again! I had forgotten about this place but it is (and always has been) superb. My adult son and I had breakfast at La Baguette yesterday and it was exactly what we were looking for - nice quiet place you can visit and actually hear a conversation, excellent service, wonderful bloody Mary and superb eggs benedict! What a nice place to dine - either in the bar or in the restaurant area (both areas have booths). Really enjoyed a great dining experience and the cost was very modest. I went here with my mother because we wanted something different than the usual fare. It was a nice atmosphere and the service was excellent. We were not rushed and could enjoy conversation along with the wonderful food. Great food and service. Always exceeds my expectations. It has been 2 years since our last visit to La Baguette - no one's fault - just happened. It was so nice to enjoy an evening with my husband and our college granddaughter. Service was excellent. Thanks. This is our favorite restaurant. 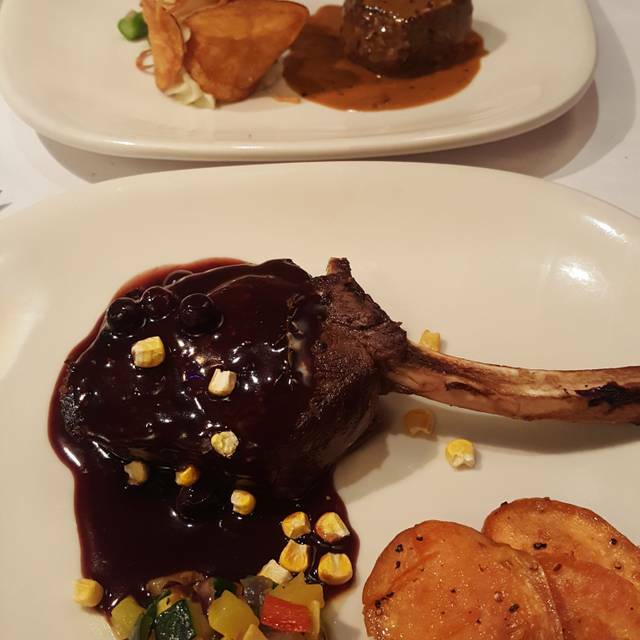 We think it’s the best steak in town and at a reasonable price. We are regulars! We love it! It’s great every time. Exceptional food and service as always. The filet was cooked perfectly. Server had great suggestions. 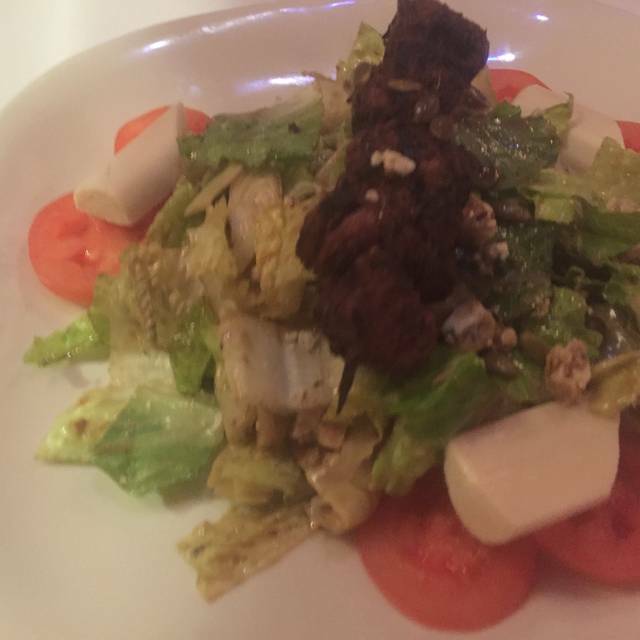 I have always enjoyed La Baguette, and will continue to dine there and recommend it to friends. I love the new expanded area, and the employees in that area are as welcoming as the ones in the dining rooms. For this lunch, Renee, our server, made our lunch as enjoyable as anyone could. She didn't rush us; helped me celebrate my birthday with lovely suggestions; and was outstanding in every way. There were four people in the booth behind us when we arrived and were seated, and they were somewhat loud. They left shortly thereafter, so noise was not a problem. Normally, I have the Salade Nicoise, which is my absolute favorite on the lunch menu; however, I decided to be "bold" and have one of the lunch specials. Should have gone with the salad. I would have given the food five starts, except the pork in the "special of the day pork sandwich" was full of gristle and was very tough. 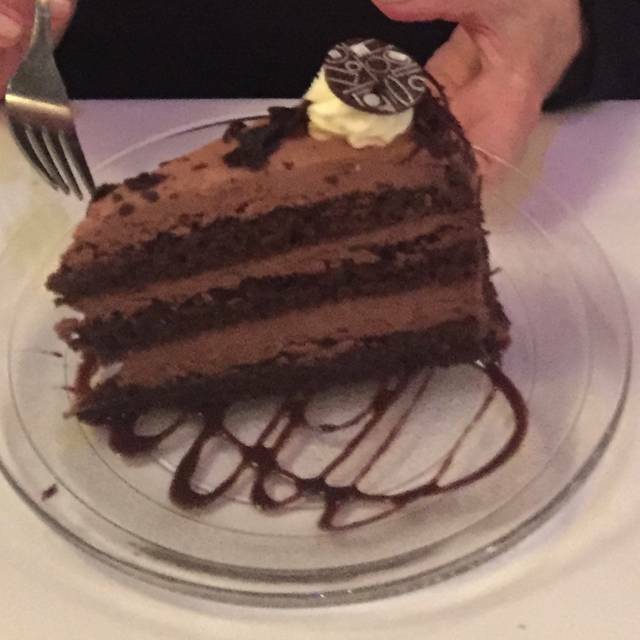 The chocolate mousse cake, however, was melt-in-your-mouth wonderful! Hope to be back soon! Our favorite place to go on a Friday night in OKC!! Our evening at La Baguette was quiet and comfortable even though the restaurant was pack. The noise level was such that we could enjoy our conversation. Our friend visiting from Austin said the French Onion Soup was the best she has ever had. We will definitely return! As always, we thoroughly enjoyed our meal and time at La Baguette. One reason I like it so much is because La Baguette reminds me of my favorite place on Rue Des Ecoles in Paris. 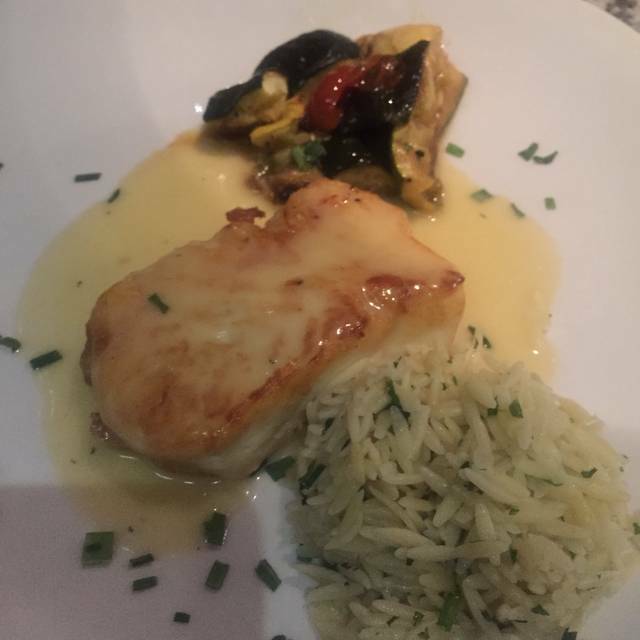 The food is delicious, the service just right.....European, as the server is not always interfering with our visiting and asking us how we are doing! 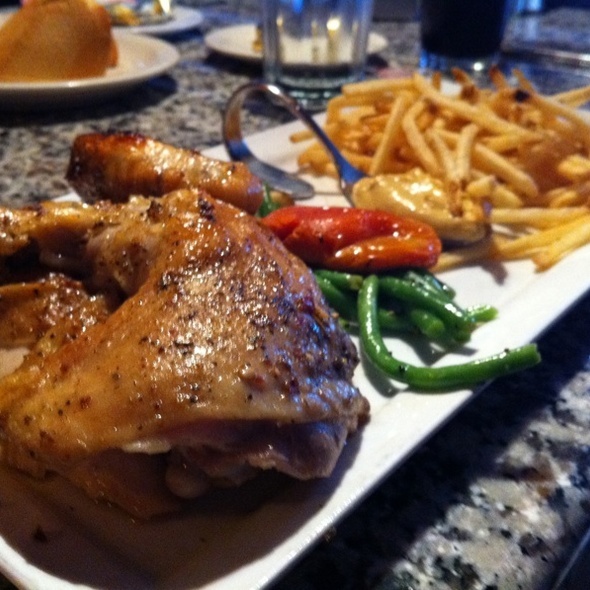 The servers bring the different parts of the meal at the right time, and let us eat. I love the high backed booths, because they are so private. So glad there is La Baguette in OKC! Good food and an all around solid place for lunch or dinner. Never had a bad meal there. Lamb, Fillet, and Service were excellent. Only wish the chairs had more padding. The food and service were outstanding. This is the favorite restaurant for our birthday club! Our experience at Ls Baguette was fantastic. We had recently went to another French restaurant in town, and were very disappointed. We decided to give La Baguette a try to quench our craving for French delicacies. We had reservations and were seated right away. A waitress came to serve water and was there throughout the evening to keep our drinks fresh. The waiter gave excellent recommendations. We had the trout and a steak. We will be back again. It is a great date night, but also I could see taking our family here to introduce our children to French cuisine. It is so wonderful to have a great French restaurant on the “East” Trail in Naples! This was our second time here and the food is outstanding. The seared Foie Gras was amazing as was the duck and prime steak. The place was packed on a Saturday night in season which is a good thing because we want this place to thrive! We always loved La Lafayette in Old Naples and we are thrilled to see the chef found new life after Irma damaged Lafayette. I ordered the special which was jap sea bass with shrimps. The dish was very dry. I was so disappointed. My friend ordered the half chicken and it was dry too. My son ordered the lobster tail and it was not succulent. It was also DRY! I was very disappointed with the food that night. I don’t think I want to go back anymore. We have eaten at La Baguette off and in for several years. We live a couple of hours from okc and always seek out our favorites when in the vicinity. We were hoping to have a nice Valentine dinner but this time, things just did not measure up. The window was breezy and cold. Our server didn’t even take time to tell us about the specials. We knew they had some because we could hear others around us talking about them. Things were kinda thrown at us. We left feeling less than co tent with our meal. I certainly wish I could be more positive about this meal but it was just subpar to say the least. 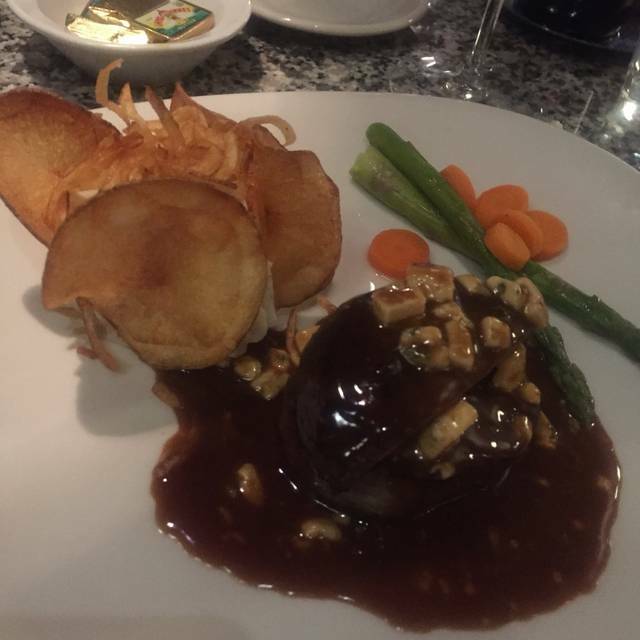 Great food, excellent service and another enjoyable experience as we have shared over the past several years! The wait was a bit long but we had an 8pm reservation on Valentines. The staff and food were excellent. Once again, La Baguette was excellent. The highlights for us were the French Onion Soup and the Chocolate Mousse Cake. The service was impeccable. We will return and feast again! We like to go there on special occasions. The food is excellent, always great specials and excellent desserts. As always, our dinner La Baguette was fabulous! I took my wife to La Baguette Bistro for Valentine's day. The atmosphere was spot on. Unfortunately, my steak (filet) was extremely tough. My wife thought her cut was decent, but did say that she grills a better filet. Overall, we weren't upset, just disappointed. She had a great time and that's all that matters. To spend a $120.00 including tip, with no alcohol, the steak could have been a lot better. Sides are usually typical but they could have won us over if not for the steak, but unfortunately they didn't. I wanted to say something to the waiter, but my wife asked me not to and gave me some of her filet. The food is always very good. A delicious salad and very tasty quiche florentine. My concern is always the service (or lack thereof). Plus, so much of the experience depends on where you are seated. I had made a lunch reservation and still found myself seated at a table in the middle of the room, next to a very loud party of four. (The couple who walked in the door just ahead us without a reservation got the last booth. Something I know I would have preferred). Service was also not as good as it should have been. I waited to get my iced tea refilled and was sans drink for about half my meal. When the waiter brought the check he asked if I would like an ice tea to go. I was delighted and said, "Absolutely." We waited, and waited and finally gave up and left sans the promised tea. I would still recommend it for the food, but this is not my first experience with less than stellar service there. Excellent but 45 min between app and main at lunch is wayyyyy toooo long. Great as always...our kind of place! The pastry for the quiche did not taste homemade to me, tasted more like a pre-made food service crust. That was the only glitch in an otherwise lovely dining experience.